Apple Hospitality REIT pays an annual dividend of $1.20 per share, with a dividend yield of 7.30%. APLE's next monthly dividend payment will be made to shareholders of record on Wednesday, May 15. 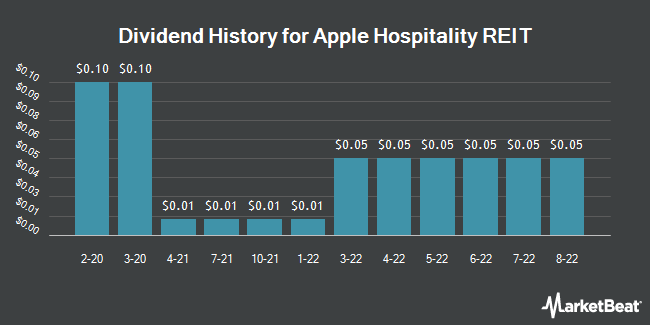 Apple Hospitality REIT pays out 69.77% of its earnings out as a dividend.